Originally published under the title "Reality Matters in Middle East, not Trump's Jerusalem Symbolism." 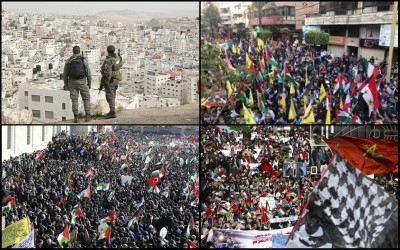 Clockwise from top left: Arab neighborhoods of Jerusalem were largely peaceful as tens of thousands demonstrated against U.S. recognition of Jerusalem as Israel's capital in Lebanon, Morocco and Turkey. Of course, the situation in a single seam line neighborhood cannot reflect the whole picture. The occasion has not passed without injury and loss of life. Hamas declared three 'days of rage' following Trump's announcement. Two Palestinians were killed and 98 wounded in the subsequent demonstrations. There was rioting in Wadi Ara, inside the borders of Israel. An Israeli security guard was stabbed and critically wounded at Jerusalem's Central Bus Station on Sunday. And in Gaza, the rocket launching activities of small militant groups are leading to a significant rise in tension. Most Palestinians appear to recognize that Trump's declaration had no immediate practical import. First of all, President Trump's declaration was just that – a declaration. With no immediate practical import. Palestinian traders and businesses don't want holiday tourists to stay at home. The relative quiet in Jerusalem and the West Bank is in contrast to the fury expressed further afield against Trump's declaration. 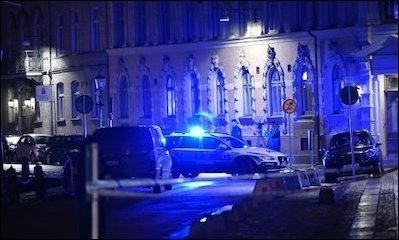 Police outside a synagogue that was attacked in Gothenburg, Sweden, on December 9. There has in consequence been in recent days a wave of fury against Israel and Jewish targets far from Israel itself. This has included attacks on synagogues in Gothenburg and Malmo in Sweden, angry demonstrations replete with anti-Semitic chanting in London, Berlin and beyond. A grim warning from Turkish President Recep Tayep Erdogan to Trump that Jerusalem is a 'red line' for Muslims, and Hizballah leader Hassan Nasrallah telling a crowd (via video screen) in Beirut that the US announcement represented the 'beginning of the end' for Israel. The attempted suicide bombing in New York too may at least partially have been inspired by the suffering of Muslims in Gaza. At the most absurd end, even Malaysian Defense Minister Datuk Seri Hishammuddin Tun Hussein said his country's armed forces were ready to play some (unspecified) role on behalf of Muslim and Palestinian claims in Jerusalem. In any case, the reality is clear. The embassies of Iran and Russia throughout Europe remain almost entirely untroubled by protests, despite the role of those countries in assisting Bashar Assad to murder hundreds of thousands of his own people over the last seven years. US embassies throughout the Islamic world and Europe have, by contrast, in recent days witnessed furious crowds protesting Trump's announcement. No Arab country expelled its US ambassador following Trump's announcement. Al-Khazaleh's statement was quickly picked up in the main outlets of both the Saudi and the Israeli media. The visit became a major subject in media discussion in both countries. This statement, from a Saudi journalist close to the corridors of power in Riyadh, reflects the real and non-symbolic nature of current power politics in the Middle East. 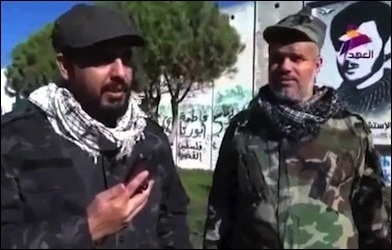 Al-Rashid holds the Iran-led camp entirely responsible for any deterioration. Al-Khazaleh, it is worth remembering, is an Arab and a Muslim (albeit a Shia). He refers to the Palestinian case as the 'decisive Arab cause.' No matter. For al Rashid, he is aligned with Iran and Israel is Iran's enemy. So the Saudi journalist's sympathies, without quite stating it plainly, are clearly with Israel. Arab leaders are primarily concerned with the advance of Iranian power in Yemen, Iraq, Syria and Lebanon. Whatever the theological disagreements, both Israel and Saudi Arabia (along with a host of other regional players including the UAE, Jordan and Egypt) are currently primarily concerned at the advance of Iranian power in the collapsed spaces in the region – in Yemen, Iraq, Syria and Lebanon. This core alignment is based on clear shared interests and it is unlikely to change as a result of Trump's recent declaration. So in the neighborhoods of Jerusalem's seam line, daily concerns and interests appear – currently at least – to precariously take precedence. In the halls of regional power, too, beneath the rhetoric, self-preservation currently trumps symbolism.